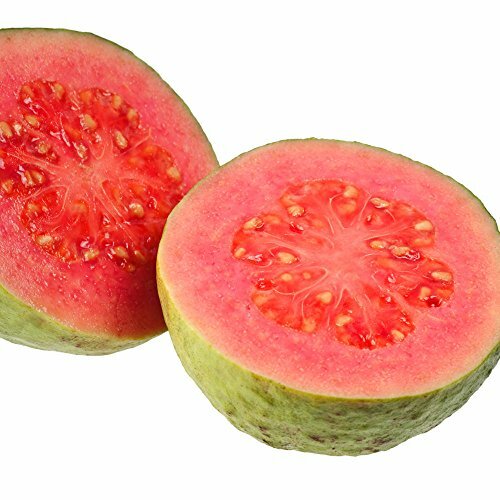 Guava Barbie Pink Psidium guajava LIVE FRUITPLANT by Wellspring Gardens at Halo Grow Box. Hurry! Limited time offer. Offer valid only while supplies last. It produces some of the largest and sweetest fruit. They are yellow/green-skinned and have deep pink flesh. Fast growing. Generally pest resistant. It produces some of the largest and sweetest fruit. They are yellow/green-skinned and have deep pink flesh. Fast growing. Generally pest resistant. Average mature height: 6-8 feet. Soil: Average watering needs. Light: Full to part sun. Zones: 9b - 11. Can be grown indoors. You will be receiving 1 plant between 3 & 8 inches in a 3 inch deep pot.